Like the game as a whole, they're a lot simpler than you think. Pokemon Go isn't always simple to understand. It's content to let you fumble around sometimes and figure things out on your own. Sometimes that's good. Sometimes you want a little help getting you where you need to go. That's where we come in, with an explainer on how you take over gyms in Pokemon Go. You've probably seen locations on your GPS denoted by a special icon that's different from that of a Poke Stop. Like in the regular Pokemon games, they're meant for trainers (and teams in this case) to take over and eventually battle for supremacy with. You can find Gyms located anywhere from parks to churches to statues, and they're extremely easy to find on your map. Just get to walking and if you're in a city you'll see a veritable treasure trove of them marked on your game map. Gyms are denoted with several different colors: Red, Blue, or Yellow. Depending on the team you chose at the beginning of the game, when you take a gym for your team it will take on the color of the team member who took the gym. If a gym is unclaimed by anyone from any team it'll stay gray on the map. When you do see one you can go ahead and grab, do it before someone else gets it first! What can you do after claiming a gym? So you've been trucking along, you've finally reached level 5, and you've claimed a gym. Great job! You'll have to have chosen which team you want to join, but your first order of business will be to assign a Pokemon to hang out there while you're gone to defend it. This way, you can roam the countryside and while you're gone if a Trainer of an opposing team happens to visit the gym, the Pokemon can fight and attack the enemy Pokemon and Trainer until they're defeated or wiped out. That's why it's a good idea to leave higher-level Pokemon that you're sure can take on other opponents, because otherwise you'll be left with zero gym control and a win for another team. That's where Combat Points, or CP, come in. 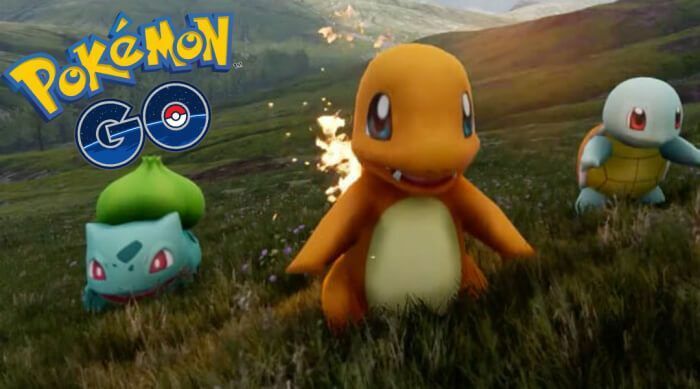 Pokemon will trade turns in order based on their CP level. More CP means your Pokemon team is a bigger force to be reckoned with. You can earn more CP if you send your duplicate Pokemon off to the Pokemon Professor, who will in turn send you Candy, Stardust, and a treasure trove of other items. You can then offer these to your Pokemon to raise their CP. It pays to be industrious and catch more 'Mons! If you happen to have captured a gym with a higher Prestige level, that works in your favor as well. You'll receive more Prestige points for winning battles with the Pokemon you've left behind to conquer any visitors, and you'll lose it when you're defeated. If you lose enough Prestige, eventually your gym will remained unclaimed and revert to its original gray color. You can claim a gym that's currently gray. Trainers in order with the highest and lowest CP will be removed and ejected, from the highest to the lowest. If you've got the highest CP, however, you're considered a gym leader and get a special icon beside their profile name. So what good is being a gym leader then? It means you have the highest combined CP when it comes to your Pokemon team. It's basically a bunch of bragging rights, for you and the team you belong to. It means you're a formidable trainer with a strong team that people are going to have to do their best to take down, so make sure you're on the move to fight and maintain that position. Those are the basics, and hopefully it's enough to get you started and on your way to Pokemon mastery, or at the very least what you can master with this admittedly barebones Pokemon mobile title. Gyms aren't that difficult to understand after all!